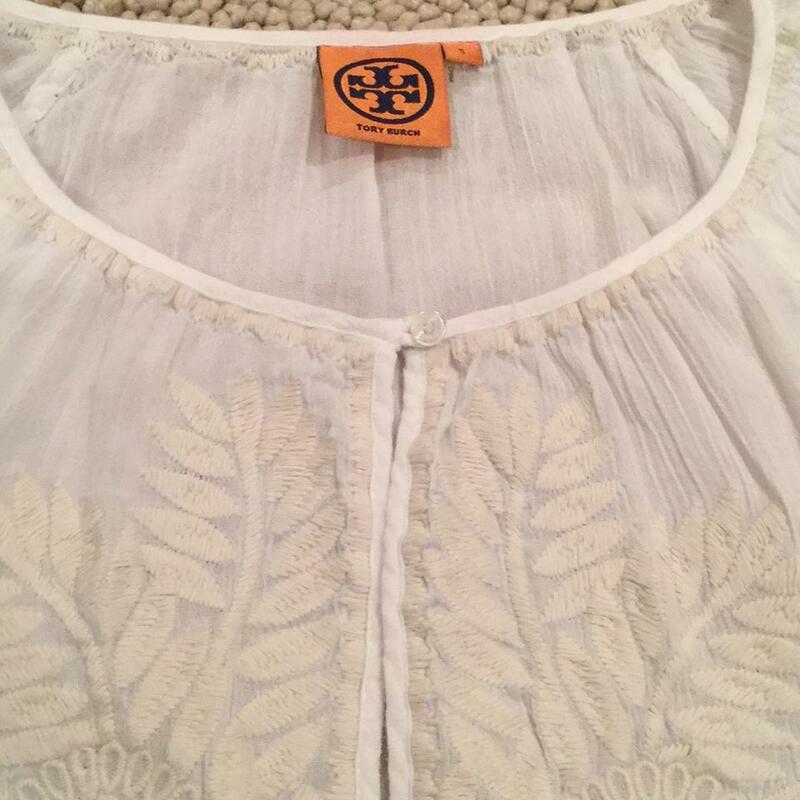 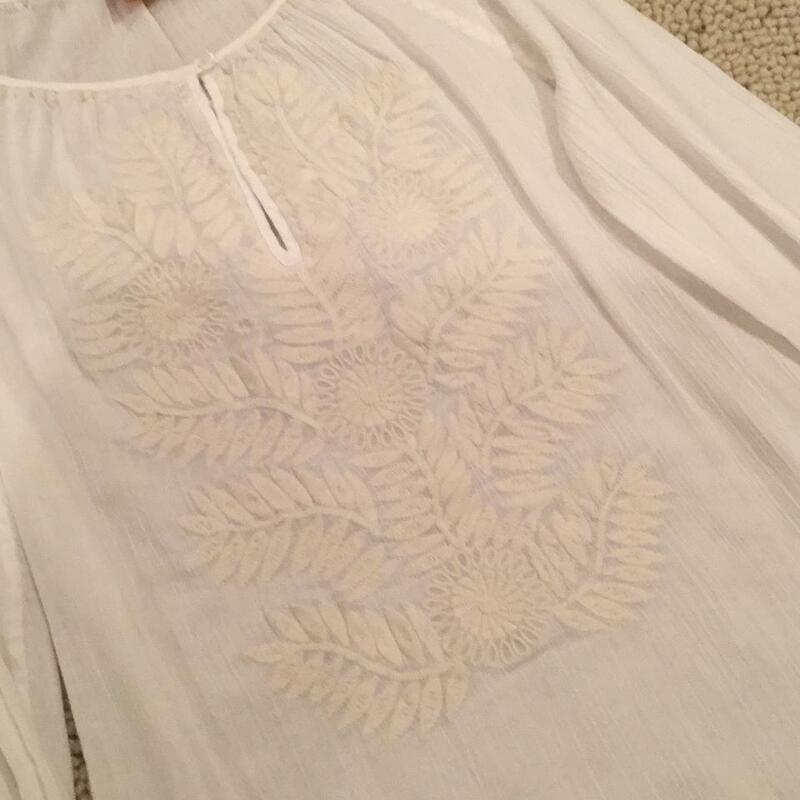 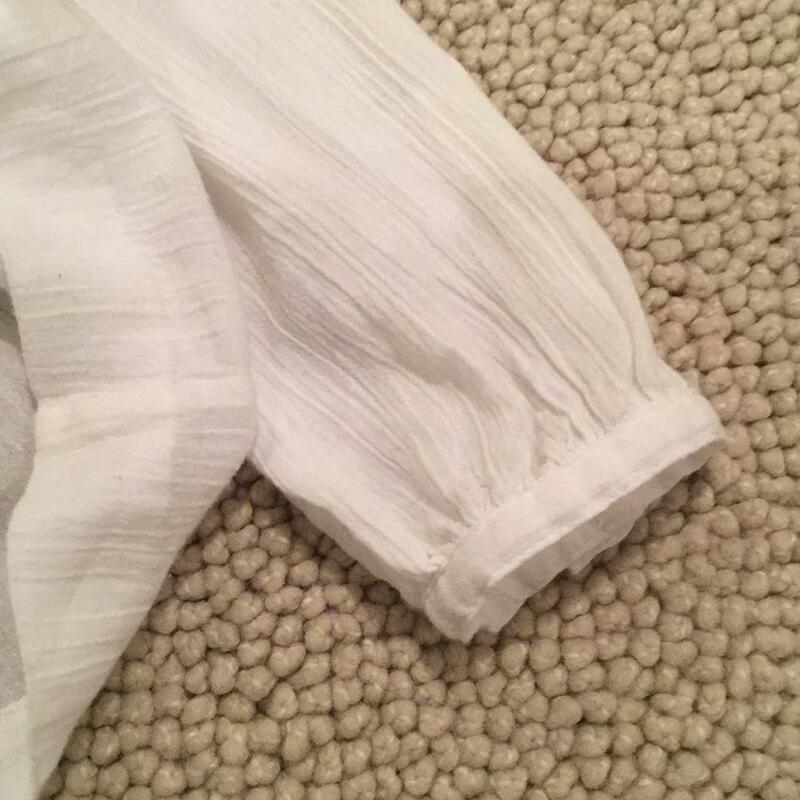 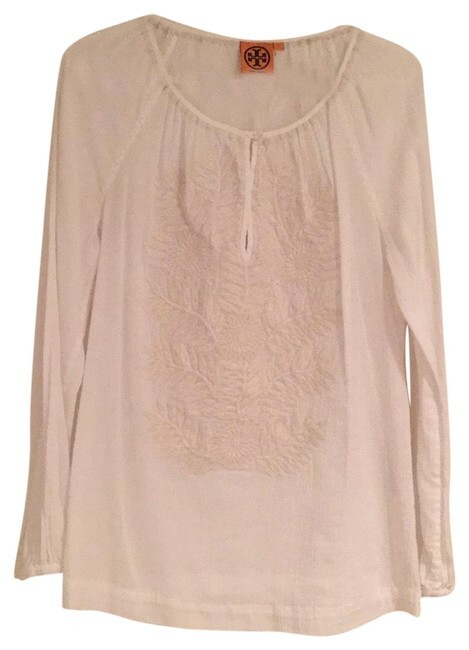 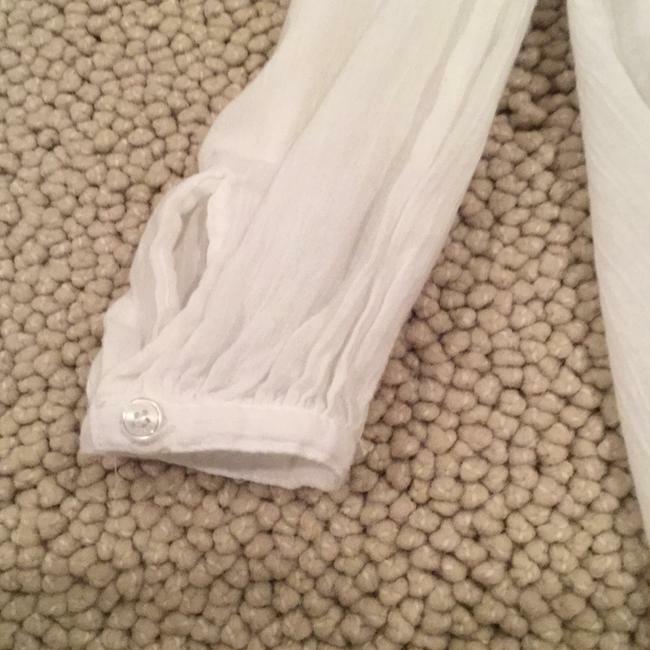 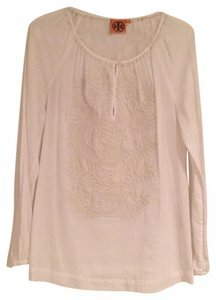 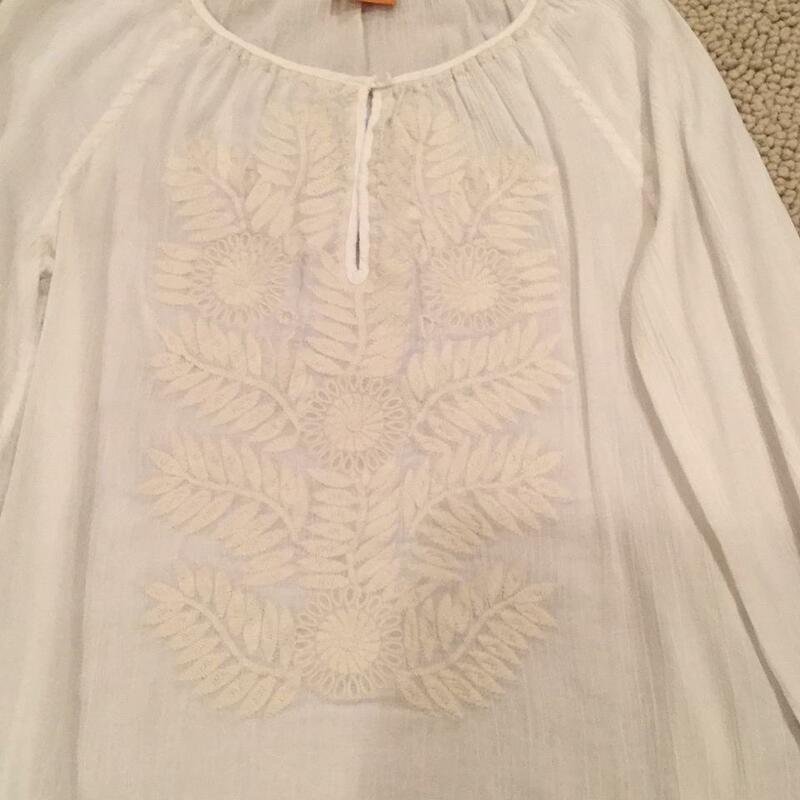 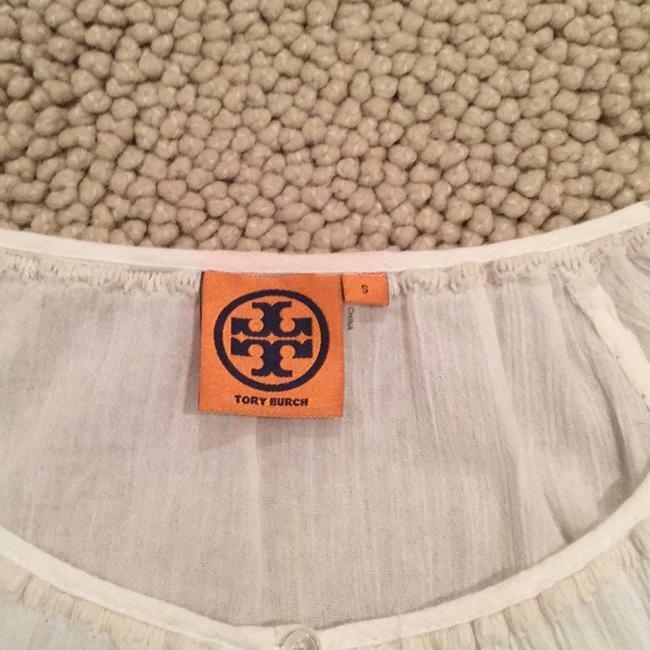 Tory Burch white on white embroidered top w key hole top and button sleeves. 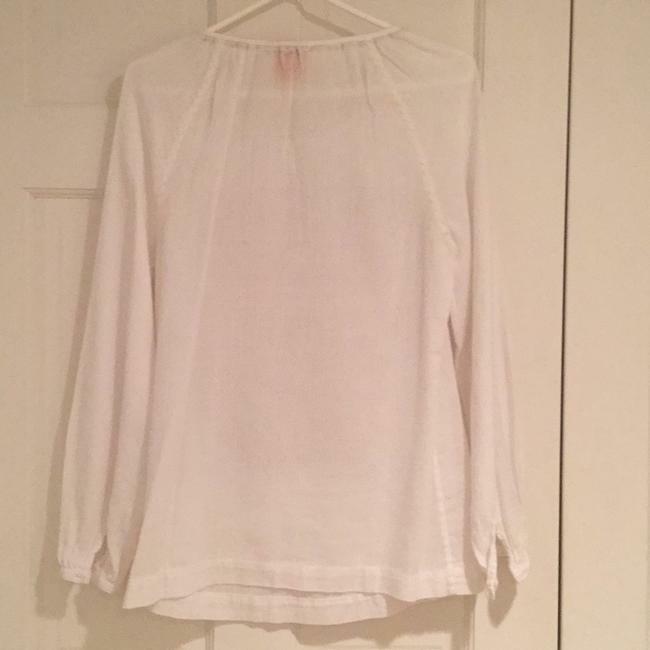 Size small . 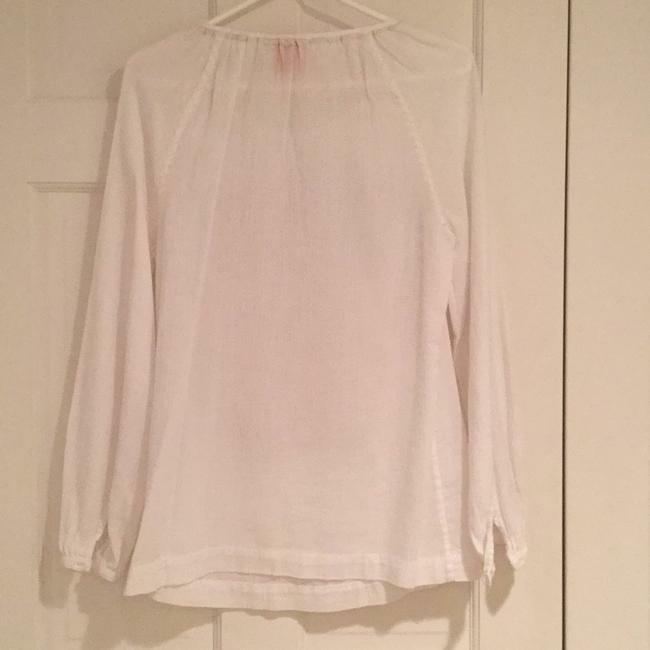 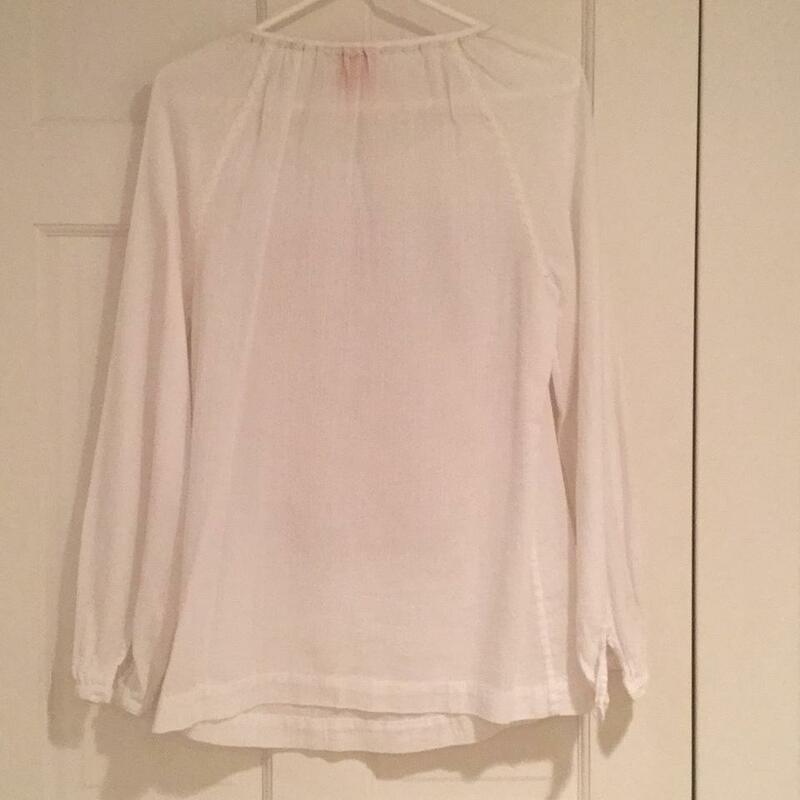 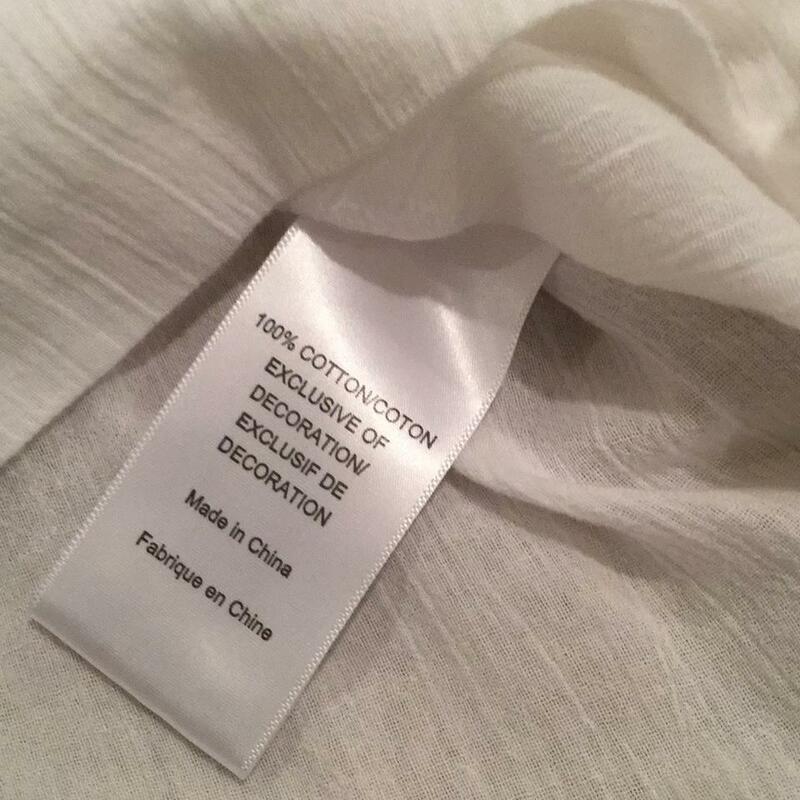 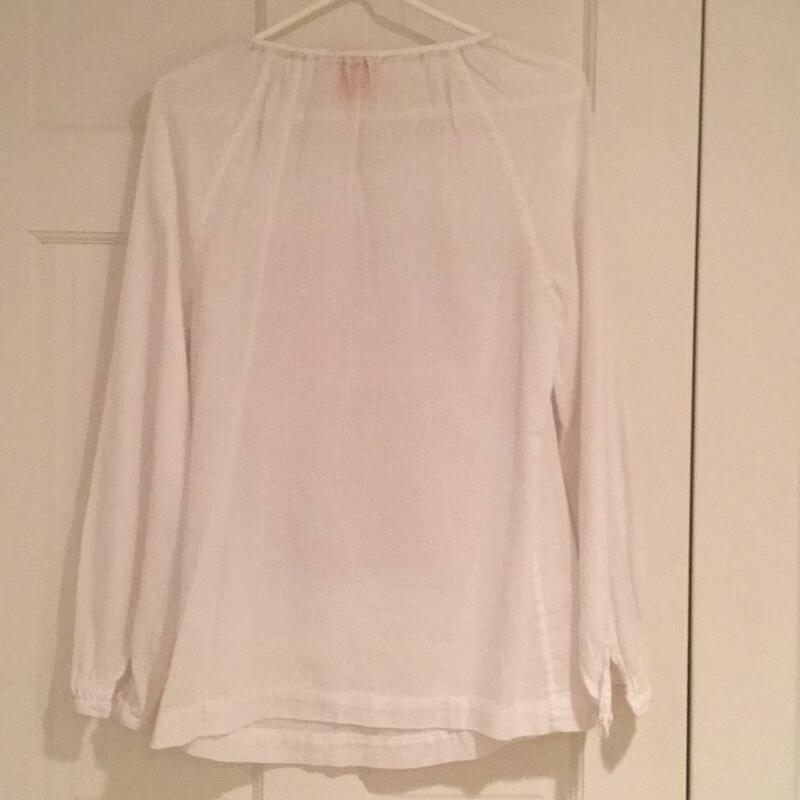 The blouse measures 27" in length .